All over the state, immigrants need to go to work, school, and attend doctor’s appointments, but in places like upstate New York, Long Island, and parts of New York City, a lack of public transportation means driving is the only option. Jorge Cotraro, a father and husband on Long Island, has been forced to drive without a license because he needs to get to work, and on time, and because missing his children’s doctor’s appointments is also not something he can afford. Every time that Jorge is forced to drive, he leaves his home with fear and uncertainty if he will be able to come home to his family because a routine traffic stop can lead him down the path to deportation. That’s because interactions with local law enforcement can trigger immigration consequences, as they’re often used by Immigration and Customs Enforcement (ICE) to justify detention and deportation. 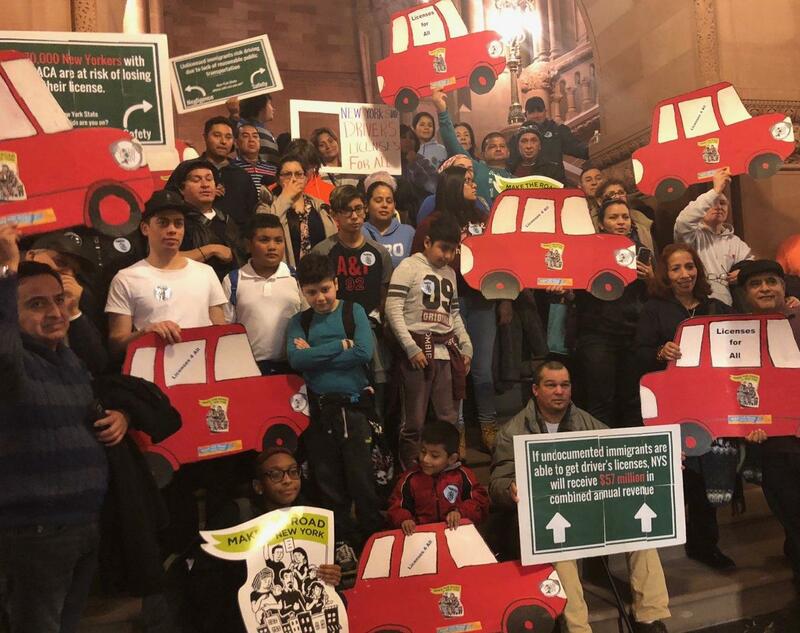 And it’s why Jorge, a member of community organization Make the Road New York, has joined his neighbors to fight for driver’s licenses for all across the state. New Yorkers should not fear that they will be separated from their family. For the first time in a decade, in January the New York State Legislature will be under complete Democratic control, with leading legislators in all chambers of state government who have stated publicly that they support restoring driver’s licenses for all. Legislation we strongly support will achieve this vital goal, and it’s time for us to move ahead and pass it in 2019. The legislation would allow the Department of Motor Vehicles (DMV) to issue a Standard License to all New Yorkers, regardless of immigration status. Immigrant New Yorkers, regardless of their immigration status, would then be able to be properly licensed as well as operate a registered, inspected, and insured vehicle -- helping make everyone safer. Besides being the right thing to do, this would lead to an economic boost to New York State. According to the Fiscal Policy Institute, passing this legislation would yield an estimated $57 million in combined annual government revenues, plus $26 million in one-time revenues projected as a result of people getting licenses and purchasing vehicles. It’s no wonder that 12 states throughout the country, and Washington D.C and Puerto Rico, already allow all people of a certain age, regardless of immigration status, to drive. It’s also why our neighbors in New Jersey are moving towards passing a similar measure. Equal access to driver’s licenses for all will not only boost our economy and protect people like Jorge and his family, but it makes sense for the public safety of all New Yorkers. One of us is the ranking member of the Crime Victims, Crime and Correction committee, and it is imperative that New Yorkers, regardless of immigration status, are able to come forward to report a crime. Undocumented New Yorkers should not fear prosecution for not having proper identification when coming in contact with local law enforcement. Support from elected officials for this effort is strong across the state. Governor Cuomo has said he supports this plan. In upstate New York, Saugerties Police Chief Joseph Sinagra and his police department have spoken in favor of the “Driver’s License Access And Privacy Act.” Brooklyn Borough President Eric Adams has expressed the urgency and New York City Comptroller Scott Stringer supports it. Many new State Senators-elect from across the state have expressed their support, making for strong momentum as the new Democratic majority takes the Senate reins in January. It is time we take the necessary steps to protect our communities, make our roads safer, and boost our economy. It’s time to restore access to driver’s licenses to all. Luis Sepulveda is the New York State Senator for the 32nd District and sponsor of the driver’s license legislation. Javier H. Valdés is the Co-Executive Director of Make the Road New York. On Twitter: @LuisSepulvedaNY @JavierHValdes @MaketheRoadNY. I’m an undocumented immigrant, and New York will not currently allow me to get a driver’s license. 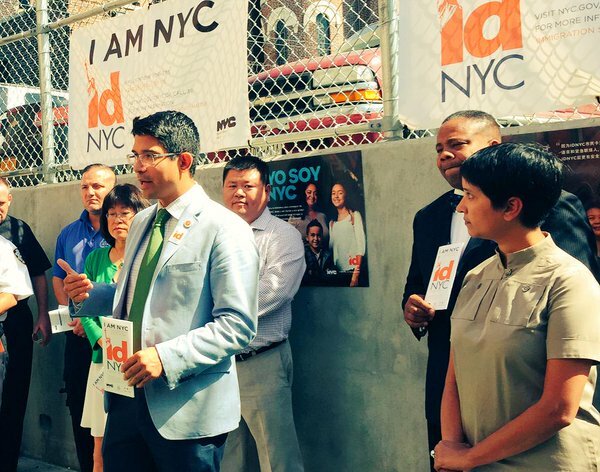 For New Yorkers like me, it’s way past time for our state to step up and do what other states have done: ensure that all qualified drivers, regardless of immigration status, can have access to a license. The attacks by the Trump Administration continue to get worse. Trump’s Immigration and Customs Enforcement (ICE) officers are using every excuse to detain and deport immigrants alike and tear us from our families, as they did in detaining 225 immigrant New Yorkers one recent week. They’re especially using minor traffic violations. 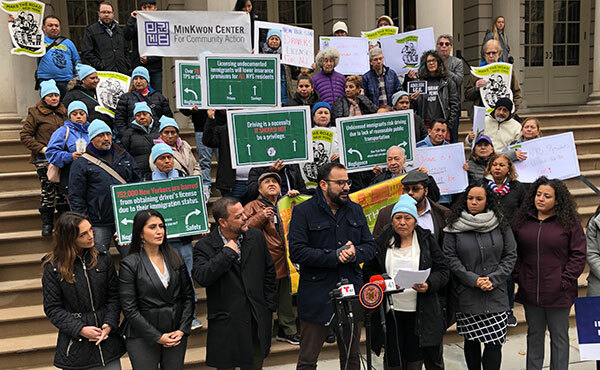 That’s why I recently joined fellow immigrants and advocates from across New York State to call on the State Legislature -- starting with the Assembly -- to restore access to driver’s licenses to all New Yorkers. This bill would change my life, and my family’s too. I have lived in the United States for nearly 20 years and I wish I could be eligible to adjust my immigration status, but at the moment due to our current broken immigration system, that is not possible. There is no clear path for me to be able to adjust my immigration status, but other measures can be helpful to me and others like me. I live in Long Island with my wife and two children. Every day, I leave my house to drive to work, with uncertainty and fear. Where I live, there is a lack of public transportation. It can take hours to get anywhere by bus or train, and taking a taxi is too expensive. I have to drive because I cannot afford to be late to my job and I need to be able to go to the store, take my children to their doctor appointments, and pick them up from school. I was once stopped at a traffic stop by police. I was given a ticket for driving without a license and needed to go to court. I couldn’t sleep due to the fear I felt of going to court and possibly being separated from my family. I went to court and, with the legal fees of my attorney, I ended up paying almost $700. Thankfully it wasn’t worse than that -- and it now easily could be. In my home country in Latin America, I had my driver’s license, but right now, due to my immigration status, I am not able to get a driver’s license in New York State. Expanding access to driver’s licenses to all New Yorkers makes sense. If it passes, immigrants will be able to register, and insure their vehicles in New York, creating an economic boost. A 2017 analysis by the Fiscal Policy Institute determined that New York would receive an estimated $57 million in combined annual revenue​. Allowing driver’s licenses for all will improve public safety by making sure that all drivers on the road are licensed. States like California have already been experiencing the positive effects of granting undocumented immigrants access to driver’s licenses since 2015. A Stanford report released last year found there had been a significant decrease in hit-and-run accidents. At a time when the Trump Administration’s attacks on our communities continue, passing this legislation would demonstrate that New York stands up for everyone, regardless of their immigration status. New York has delayed too long; we need to do more to stand against the White House anti-immigrant rhetoric now. Obtaining a driver’s license will change my life, my family’s life, and that of thousands of New Yorkers. It would mean being able to pick up my children from school or take them to the doctor without fear. And it would help me to potentially get a promotion at my current job, or be able to look for better one. There are 12 states, including Connecticut and Maryland, that currently allow undocumented immigrants access to driver’s licenses. The new governor of our neighboring state, New Jersey, has committed to follow those states and expand access to driver’s licenses. But we haven't heard a commitment from Governor Cuomo yet. New York should be next. Jorge Cotraro is a Long Island resident and a member of Make the Road New York, the largest grassroots community organization in New York offering services and organizing the immigrant community. On Twitter: @MakeTheRoadNY. It has been nearly three years since Kalief Browder tragically ended his own life after being caged, abused, and tortured on Rikers Island. Elected officials promised us that his story would be a turning point and that New York would fundamentally transform a criminal justice system designed to criminalize low-income black and brown New Yorkers and then place a bounty, through the money bail system, on our freedom. With another new state budget now passed in Albany, it is clear state leaders are not going to make good on those promises and New York will continue to keep people locked in cages because they are too poor to pay bail. I cannot imagine what Kalief must have felt while trapped in a cage, spending much of his time in solitary confinement, facing abuse from the guards and other incarcerated youth -- only there because he could not afford bail. As a young black person, growing up in Brooklyn, I can relate to how Kalief must have felt that night; his future was permanently disrupted. I have been out in my neighborhood, just enjoying myself, or hanging out with friends, only to have the NYPD initiate an interaction that reminds black youth we cannot afford to be care-free when the criminal justice system surveils, restricts, and criminalizes our very existence. That is why I organize with youth across Brooklyn and New York City to end racist and biased policies and practices throughout the criminal justice system. It is why last week, I traveled three hours to Albany to join civil rights organizations, public defenders, community organizations, and NFL player DeMario Davis (formerly of the New York Jets), to demand New York legislators pass bail reform that will completely eliminate wealth-based detention, significantly reduce the number of New Yorkers caged before their trial, reduce racial disparities, end profiteering in pre-trial services, and does not increase the likelihood that people will be detected, detained or deported by federal Immigration and Customs Enforcement (ICE). In Governor Cuomo’s State of the State speech he made promises to reshape New York’s bail and pre-trial detention that will “will transform our criminal justice system by removing critical barriers, reaffirming our beliefs in fairness, opportunity and dignity, and continue our historic progress toward a more equal society for all." He did not follow through by passing reforms that would have made positive change. And, unfortunately, when I studied his proposals, it became clear some parts could actually bring reform in the wrong direction. 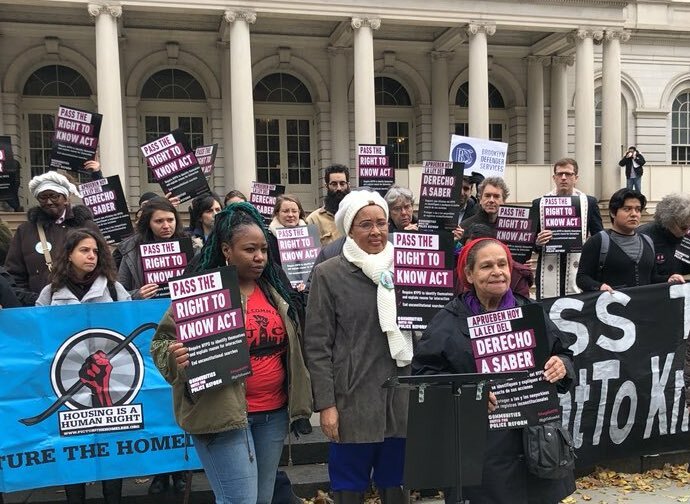 If passed, the governor’s proposal would increase the number of New Yorkers who are detained before trial without the possibility of release, give prosecutors the power to hold New Yorkers before trial, expand the use of electronic monitoring and house arrests, and pass the costs of pre-trial services on to people awaiting their trial. It isn’t progress if we extend mass incarceration into our homes and communities through ankle bracelets and house arrests and then charge poor people for the cost of their release before trial. A recent report from the New York Civil Liberties Union found that black New Yorkers are twice as likely as white New Yorkers to spend at least one night in custody on bail, and more than 90,000 New Yorkers spent a day or longer in custody on bail between 2010 and 2014. Kalief Browder was arrested in 2010. Eight years after his arrest and three years after his death, the turning point we were all promised seems farther and farther away. 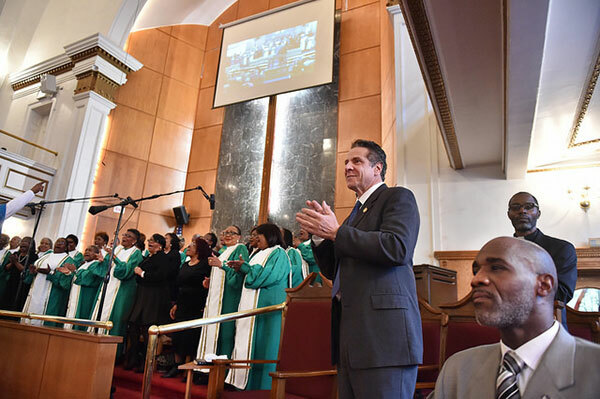 With Governor Cuomo now celebrating the new budget and the state Legislature on vacation; and as we hit the 50th anniversary of the murder of Dr. Martin Luther King, Jr., we should all remind our elected officials that justice delayed is justice denied. Nicshel Samedi is Youth Leader, Make The Road New York. 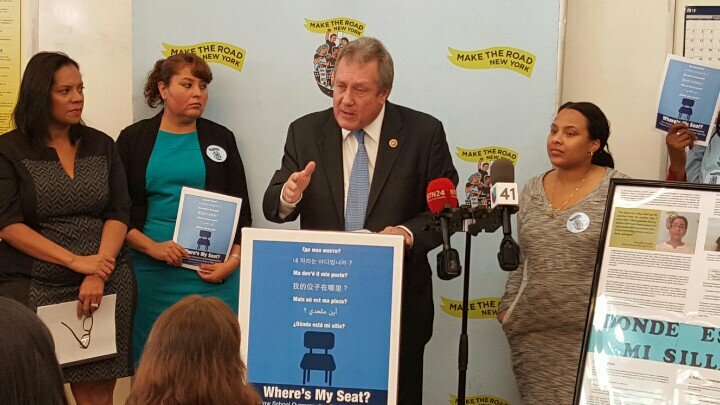 On Twitter @MaketheRoadNY. Mayer is running against Republican Julie Killian for the 37th Senate District seat, in a special election scheduled for April 24. The seat has been vacant since January after its previous occupant, George Latimer, was elected Westchester county executive. A Mayer victory in the district would likely give Democrats the numerical majority in the state Senate, paving the way for a unity deal between mainline Senate Democrats and the Independent Democratic Conference, a breakaway group of eight senators who prop up Republican control of the chamber along with renegade Democrat Simcha Felder. A deal is on the table that parties other than Felder have agreed to pending the results of two special Senate elections, the highly competitive Mayer-Killian race and one in the Bronx, where Assemblymember Luis Sepulveda is all but guaranteed to win. Now adding its voice to the growing support for Mayer is the “Progressive Power Coalition” of five community advocacy groups -- Make the Road Action, NY Communities for Change, Citizen Action of New York, Community Voices Heard Power, and VOCAL-NY Action Fund -- which will announce its endorsement of Mayer on Friday. The groups cite, as reasons for their support, Mayer’s impressive record of fighting for working New Yorkers and immigrants, her support of campaign finance reforms that prioritize small donors over wealthy interests, her advocacy for expanding childcare, affordable housing and combating homelessness, and her leadership on protections against wage theft by bad-actor employers. Democratic control of the state Senate, currently Republicans’ only stronghold at the state level, is seen as key to ushering through a wave of progressive policies. 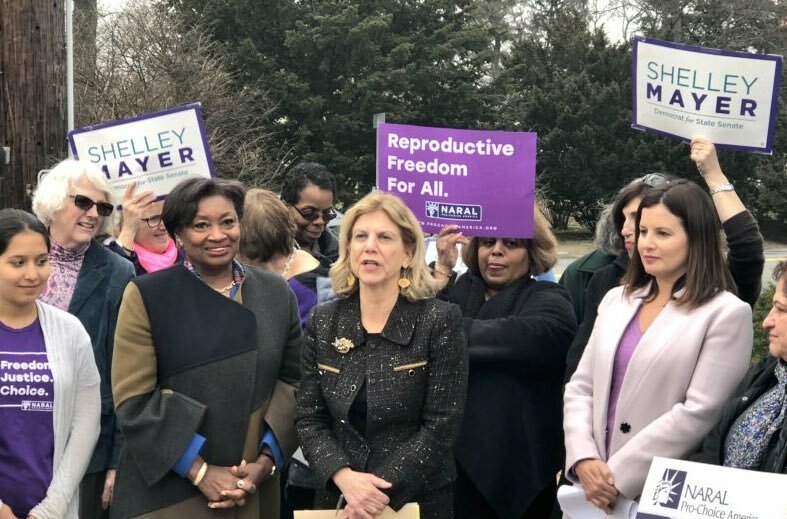 "Shelley Mayer is a powerful leader for New York State,” said Sojourner Salinas, a member-leader of Community Voices Heard Power from White Plains, in a statement. “She stands tall and firm on what we believe in: fighting for communities of color and low-income families of New York State on all the tough issues that we are being attacked on by the Trump administration." Members of the coalition intend to bolster Mayer’s campaign by mobilizing their base of activists to knock on doors, call constituents and get out the vote in the lead up to, and on, Election Day. Several of the groups are known for their abilities to have boots on the ground for such activities. Mayer is considered a favorite given the district’s Democratic enrollment advantage and recent election trends, including Latimer’s runaway victory over two-term incumbent Rob Astorino. Nothing is more dangerous than business as usual when it is conducted in a moral vacuum, and these companies have been more than happy to go along for the ride: Goldman Sachs, Blackstone, JPMorgan Chase, Wells Fargo, Blackrock, Boeing, IBM, Uber, and Disney all seem eager to cash in on the Trump agenda. Whether it's financing or investing in the detention centers necessary for Trump’s immigration crackdown, bidding on contracts with Immigrations and Customs Enforcement or Customs and Border Protection, supporting Trump’s campaign and inauguration, or spearheading an anti-worker agenda, the corporations share one commonality: they enable the most destructive and hateful policies of this White House. Because Trump is great for business when that business is locking up people of color behind bars for petty crimes, and standing to gain from their imprisonment - as it is for JPMorgan Chase. A Trump White House is great for business when you stand to profit from breaking up unions, rolling back workers’ rights, and squeezing more from the middle-class. As for the overwhelming majority of Americans, those living paycheck to paycheck, struggling to afford their kid’s college education, or bracing for the sharp cuts to their health care, they are on the opposite side of that transaction; their pain is another’s profits. 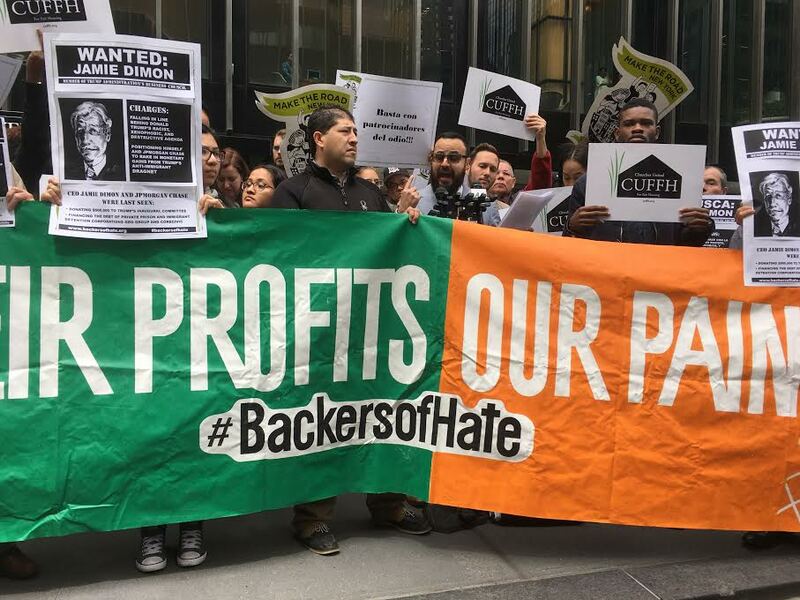 The Backers of Hate campaign urges these corporations to reverse course, until they are no longer accessory to the crimes against the disappearing middle class, against the Muslims targeted by Trump’s travel ban, and to the immigrants living in constant anxiety that today will be the last day they’ll see their family. And although these companies may not be swayed by the moral argument, they will listen when it comes to their almighty dollar. The Trump resistance must expand to include resisting his enablers. Consumers will need to apply the pressure where they can until condoning the Trump agenda is no longer a profitable business model. But they don’t need to fight goliath alone. As the finance capital of the world, New York not only has an obligation to pressure these companies, it has leverage. Our state pension fund is the third largest in the United States, with assets totaling $178.6 billion. In the weeks to come, I will introduce legislation in the state Assembly to divest that pension fund from companies guilty of the most egregious corporate complicity. New York needs to lead the effort and draw a line in the sand. If you choose to benefit from the broad net Trump has given immigration enforcement agencies, from the deregulation and right-to-work campaigns that will bleed the middle class, or from the environmental degradation that endangers all of our futures, you’ve chosen to build upon a morally dubious house of cards. If New York is to truly stand in resistance to the Trump agenda, it’s time to put its money where its mouth is and disassociate itself from the backers of hate. Francisco P. Moya is a New York State Assemblymember representing the 39th District in Queens and is the prime sponsor of the NYS Liberty Act and the NY DREAM Act. On Twitter @FranciscoPMoya. 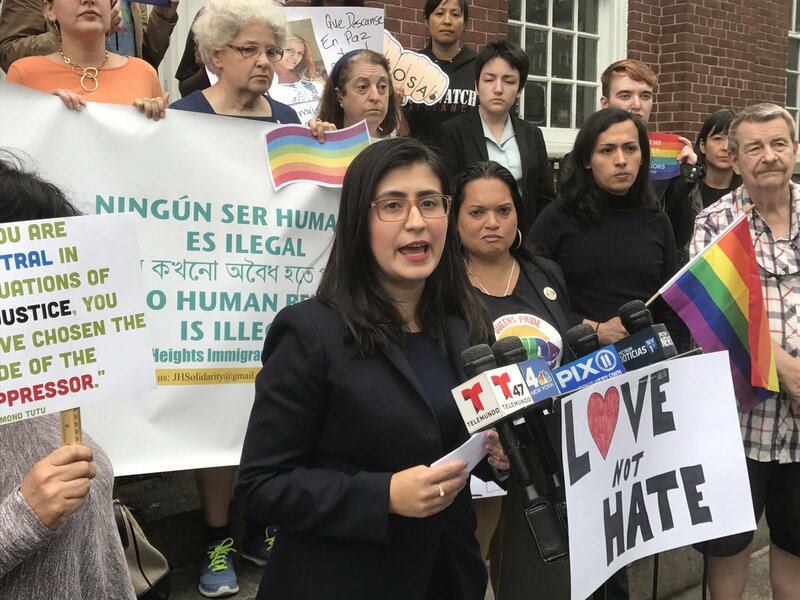 Make the Road Action (MRA), the political affiliate of Make the Road New York, a group that represents about 20,000 Latinos in New York City and Long Island, will announce its endorsement on Friday for four progressive City Council candidates - Carlina Rivera, Alicka Ampry-Samuel, Diana Ayala, and Marjorie Velazquez. Each is seeking to fill a seat that is being vacated due to term limits. There are only 13 women currently on the 51-seat City Council, down from 18 in 2009, and four of them face term-limits this year, including Council Speaker Melissa Mark-Viverito. Council member Inez Dickens recently stepped down after being elected to the state Assembly, and she is being replaced by State Senator Bill Perkins, who just won a special election. With male candidates overwhelmingly represented in races across the board, there has been a push to ensure the success of women candidates. Mark-Viverito, Council Members Elizabeth Crowley and Margaret Chin, along with good government groups and women’s organizations, recently launched the “21 in ’21” campaign to encourage women to run for City Council and bring the total number of women members to at least 21 through the 2017 and 2021 city election cycles. The group has similarly endorsed progressive candidates in prior elections. In 2013, MRA’s sister PAC, Make the Road Political Action, even spent $27,323 for independent mailings supporting Antonio Reynoso for the District 34 Council seat, and opposing Vito Lopez, Reynoso’s primary competitor. Reynoso was victorious. The four candidates now being backed by MRA, in statements accompanying the announcement, noted the importance of MRA’s advocacy at a time when immigrant communities face a volatile political climate at the national level. 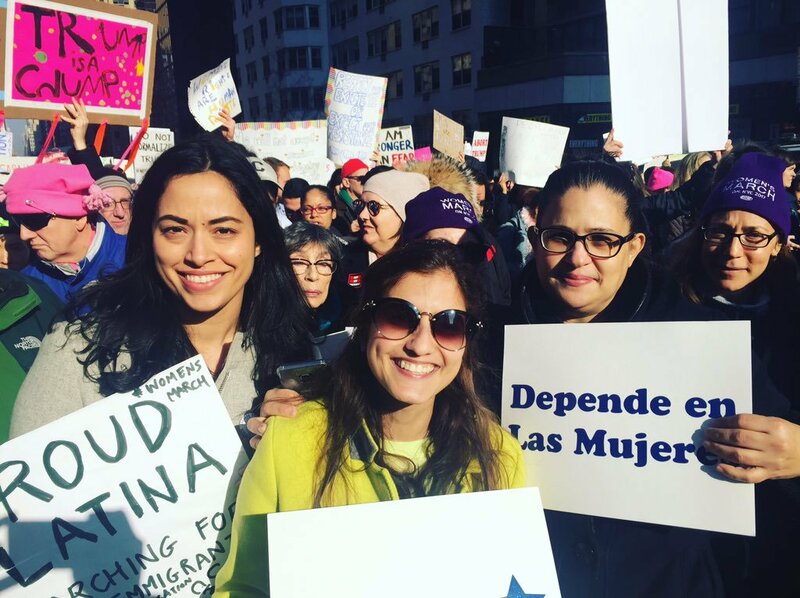 Carlina Rivera, who is running to replace Council Member Rosie Mendez in Manhattan’s District 2, said she was “honored” to receive MRA’s endorsement. Citing the “despicable and dangerous” policies of the Trump administration, she said, “Make the Road Action has been a leading force in the city’s resistance and through organizing they have built power and self-determination in neighborhoods everywhere. Throughout my career in service, I have strived to achieve these same goals in my own community. The issues we fight for are both important and personal to me.” Rivera, who is Mendez’s legislative director and was endorsed by the Council member, is currently leading the race in fundraising, ahead of five opponents so far, four of whom have no funds to their name. “In these times of fear and uncertainty for our immigrant communities, the work of MRA is more important than ever,” said Diana Ayala, deputy chief of staff to Mark-Viverito, who is running to replace her boss in District 8, which covers East Harlem and the South Bronx. Mark-Viverito endorsed Ayala last year, writing in a Facebook post, “Diana is a reflection of who I fight for each [and] every day [and] what motivates me to do what I do. There is no better person to represent this district.” Ayala currently has three competitors for the seat, but has far surpassed them in fundraising so far.